© Michel Sylvain. All rights reserved. 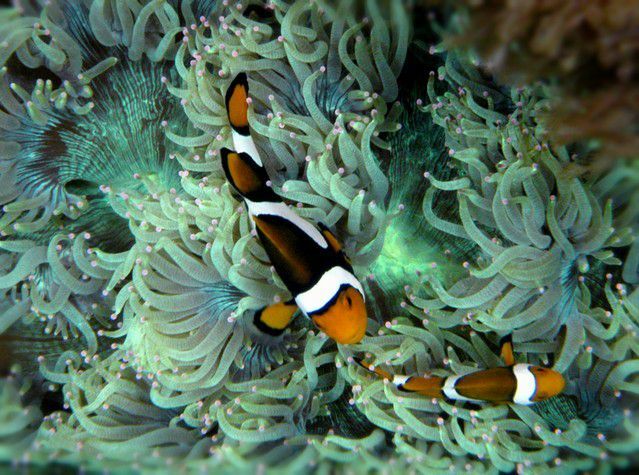 Two Percula Clownfish (Amphiprion Percula) hosting an Elegance Coral (Cataphyllia sp.) in a home aquarium. Date Uploaded: Aug. 18, 2008, 9:11 p.m.